This free pay stub template will assist you when it comes to keeping track of your payments with your employees, especially since the time for payroll can be quite a hassle. A pay stub is a temporary document that is related with that of the paycheck of the employee. Therefore you need a proper template in which everything is in order and you can safely record the paychecks of the people working for you without a hitch. 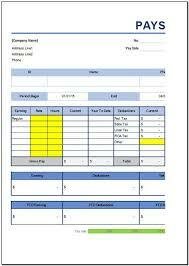 Our free pay stub template is neatly in order and offers the best template for you to use for the pay stubs. It’s organized and arranged properly to cater the needs of what the person requires in this specific type of template. With this, you won’t have any problems regarding the paychecks of your employees. This pay stub template isn’t very difficult to use and understand because everything you need is already in order on the document itself. On the upper left hand corner, you can find the company name and the addresses that correspond to that company. A phone number is also present, just in case the employee might want to contact the company in charge of his paycheck. On the opposite side is the number of the paycheck and the date of when it was issued, which helps the person issuing the pay stub to track down the number. And below this basic information are the details of the employee themselves, such as their ID, names and phone number. This is given the most space so that there won’t be any problems in tracking the person down just in case there were some problems with their check. 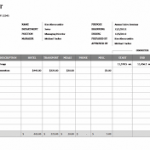 After the contact information, this pay stub template also has the expected tablet form of the details regarding the performance of the employee. The period of work is noted before the table, which gives the employer the basis of when their employee started working for them. And below is the table that holds all the columns about the earnings, rate, hours, and etc. It is also specific as well, because it states the current amount of money to be issued and the deductions due to federal tax, state tax, local tax, FICA tax and other deductions. A gross pay has been stated at the bottom of this table as well. After the table are the stubs that will be given, which basically summarizes the earnings, deductions and net pay. A duplicate has been separated as well which shows the year-to-date earnings, deductions and net pay of the employee. 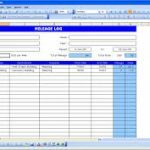 With this template, you won’t have difficulties in managing the paychecks of the people who work for you because the details have already been specified to a point here in this very same template.